Asia’s biggest junior squash tournament, the 12th Kuala Lumpur Junior Open, is set to welcome 745 players from 17 countries on Dec 4-9. The tournament, which is also the second biggest in the world, has seen the rise of many top local stars including 2017 KL Sea Games gold medallist, Ng Eain Yow. “Unlike other sports, players need to be exposed at an early age or it will be too late for them to catch up. Eain Yow was born and bred in KL and he started playing from the age of five,” said Squash Racquet Association of Kuala Lumpur president, Steven Kwan yesterday. According to Steven, this is the fourth consecutive year where participation have exceeded the 600 mark. “Because of our good track record in organising the competition, the Asia Squash Federation (ASF) continue to retain our platinum status (world ranking). We also remain committed in making sure all players gain valuable experience and make good memories here,” added Steven. 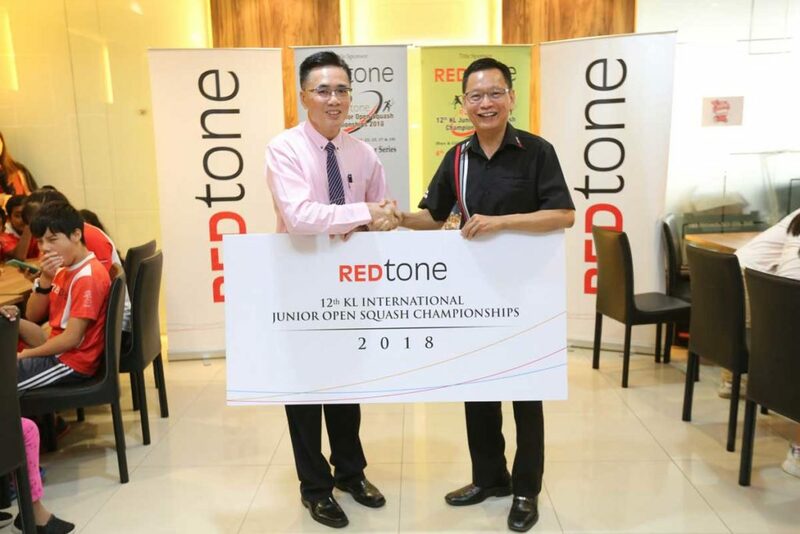 The competition, sponsored by REDtone for the seventh year, will be held in two venues (Bukit Jalil National Squash Centre and the Jalan Duta Squash Centre). The final is scheduled to take place in Bukit Jalil on Dec 9. “We hope to see more future stars coming out of this tournament and we are glad to continue our working relationship with Squash KL,” said REDtone chief executive officer, Lau Bik Soon. Meanwhile, 16-year-old Noor Ainaa Armani revealed that she will want to give the Under-19 category a shot. “Since I was seeded third, I have increased my training intensity and started sparring with other senior players. Winning the title is definitely my target,” said Noor Ainaa, who was crowned Under-11 champion back in 2012.